With impressive power, intelligent performance and a high level of safety, the Opti-kap 5000 has set new standards for the future of optimized cross-cutting. Designed to meet the extreme capacity performance of the Opti-Kap 5000, the cross-cut saw is manufactured in a particularly durable fashion with mechanical components of extremely high quality. The forward motion of the workpieces inside the saw is achieved through 9 servo driven bottom rollers and 9 double pneumatically activated pressure rollers. 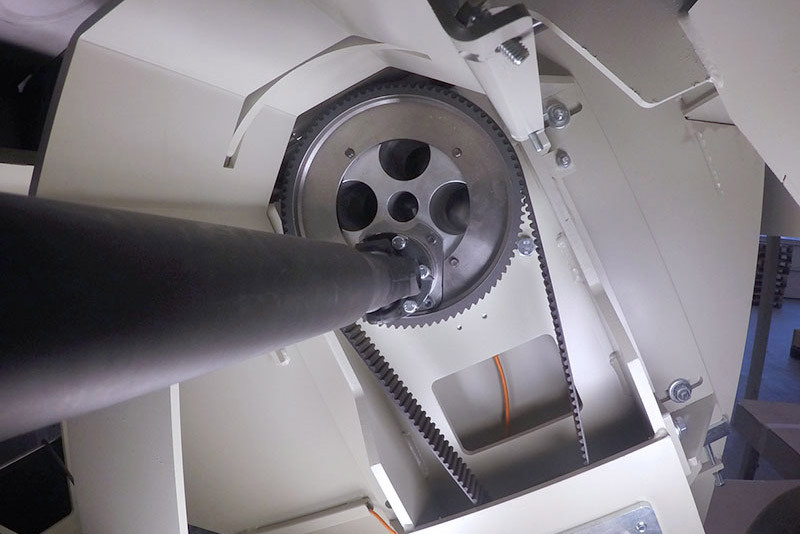 Both the driven and the pressure rollers are double supported to ensure maximum contact to the workpieces, guaranteeing excellent accuracy and an unbeatable capacity. 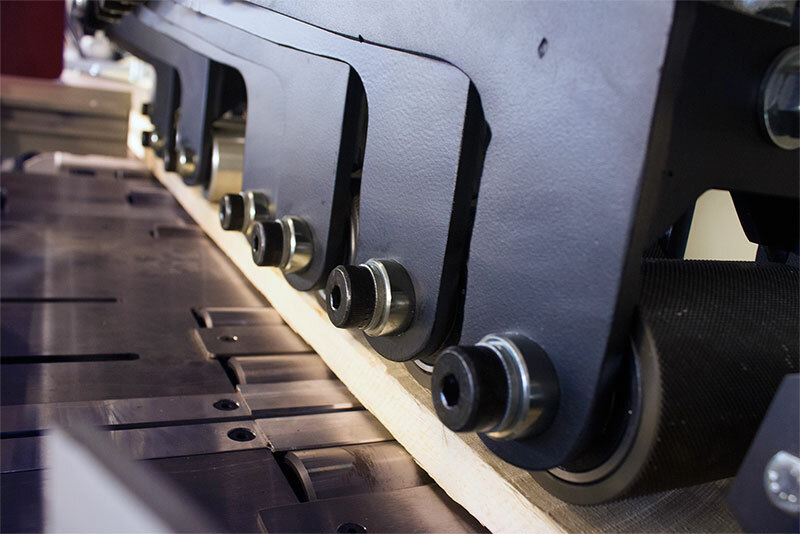 The saw blade has an excentric movement driven by a servo motor, guaranteeing a smooth saw blade stroke for optimal kerfs, which minimizes the tear-outs during cross-cutting. The Opti-Kap 5000 series automatically recognizes the lengths as well as marked or scanned defects, and cuts the workpieces into components with an accuracy of ± 0.75 mm (0.03”) in cross-cut lengths up to 1,000 mm (39’’).